"Ma Nishtana? A New Generation of Voices at the Table"
When will these be on sale? Or Wacky Mac, which is known for being the mac & cheese brand with hechshered cheese, and has a recipe on the back of the box involving ham. 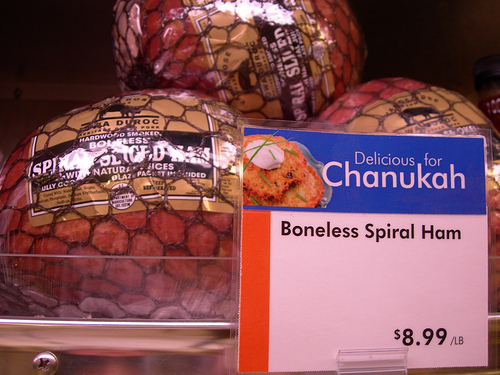 Somewhere my parents still have the Pavillions (Los Angeles grocery store) circular advertising “Passover challah”. It was not. It was just “challah-bread” that they put on sale for Pesach. Eliyahu Freedman on Jews of the Middle East or Ashkenazi Donors?